Manual watches from A. Lange & Söhne are at the other end of the price range. Among the most exquisite German wristwatches available, the timepieces from this manufacturer absolutely hold their own compared to Patek Philippe or Audemars Piguet. The Lange 1 is A. Lange & Söhne's most iconic timepiece. It features decentralized displays, a date display, and is powered by a manual caliber. You can purchase a pre-owned Lange 1 in very good condition starting for around 15,000 euros. If you want to buy a new version, you should be prepared to spend at least 22,000 euros. 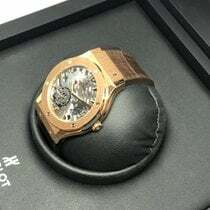 Currently, the manufacturer exclusively uses gold or platinum as a case material, though stainless steel was used for a short time in the 1990s. Since the stainless steel timepieces are now incredibly rare, they can cost up to 150,000 euros. 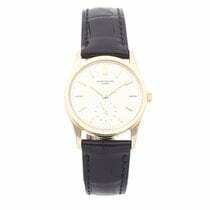 Junghans, based in the southern German state of Baden-Württemburg, is another famous watch manufacturer. One of their most popular models was named after the architect and artist Max Bill. This collection's design is markedly simple and, like Nomos watches, inspired by the Bauhaus movement. New models of the manual Junghans Max Bill can be purchased for as low as 500 euros.